I know you have piles and piles of sticky notes and a million wedding checklists pinned on Pinterest and you are probably feeling a bit overwhelmed. With all of the wedding ads on social media, the knot and weddingwire slowly taking over your inbox, no wonder your plate is never empty. 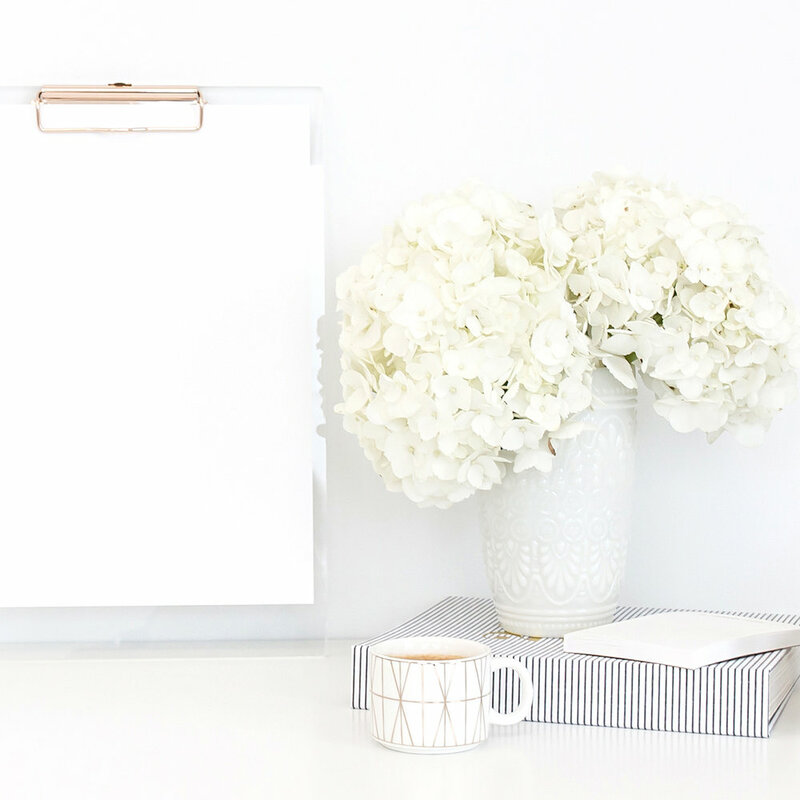 Today, I want to share with you a solution to help you tackle your bridal to-do list by using the macro to micro method. You ready? Let’s go! First, you want to determine your timeframe. Since we’re talking about your wedding to-do list, we will use your wedding date. So usually planning weddings can take up to a year or even 6 months. So however long your engagement is, use that timeframe. If you do not have a wedding date yet, I would use the 6 month marker as your timeframe. In this time frame, you want to check off everything on your to-do list so you can have a stress free wedding. The second thing I want you to do is write down your (macro) goals during this time period. Your macro goals are going to be things like find a dress, book a photographer, hire a planner, find a venue and so on. You can separate tasks by quarter or by month. Tip: Group 2-3 macro goals per month. Do this every month you have in your timeframe. Make sure to prioritize your macro goals per your timeframe and per month. Ex: Top 3 macro goals for the first month should be to find a venue/date, planner, and photographer. Do this for every month leading up to your wedding. This list will help you stay organized and productive throughout the month!! The next thing I want you to do is edit your list. Make sure that your macro goals are attainable each month and make necessary edits, or more around goals so they are more realistic. Tip: Think about what you have going on each month. Is it a busy month at work? Do you have more time in your schedule to take on more goals a certain month? Do you need to cut back on other months? Now that we’ve double checked our bridal to-do list, we can move on to the next section. By having an idea of what you want to get done in a specific time frame/quarter/month/week, you are on your way to a more productive planning process. You will immediately feel a weight lifter from your shoulders. After you complete your macro goals each month, you will feel a sense of accomplishment that will give you the energy to press forward to your next months macro goals!! Pro Tip: Listen to your body. If you need a break, take it. If you need to do nothing for a week, do it. Get lost in a hike, read a book, cook a meal with your bestie - do whatever you need to do reenergize. I believe in you! You can and you will do this!!!!!!! Send me an email and let me know how it’s going for you!! More on the blog below!!! Lina and Levi’s wedding was stunning! They had their ceremony at The Neighborhood Church in Palos Verdes Estates and it was gorgeous. The view of the ocean was so peaceful and calming. The bridal suite had floor to ceiling windows with an ocean view as we!! Talk about royalty treatment! 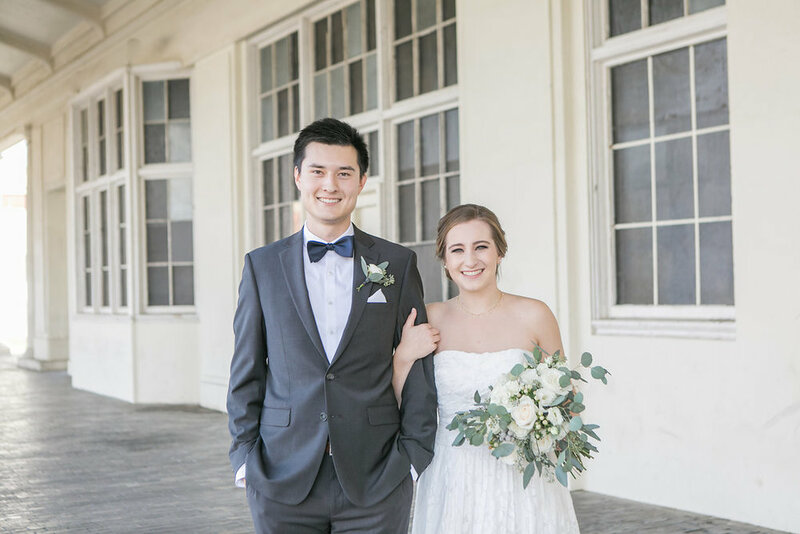 The ceremony was held at South End Racquet Club in Torrance, and the staff was amazing! That’s one thing I always notice right away is the service to the couple. Lina loves Yogurtland and wanted her guests to enjoy it as well, so she had a Yogurtland bar, which was a hit! The couple also loved to dance and let me tell you, they were the last ones on the dance floor!! It was pure joy to see them breakin’ it down on the dance floor! Lina also loved beauty and the beast so naturally, her first dance song as from the soundtrack. If I could sum of this couple in 3 words, it would be fun, loving, and carefree! They had the best wedding because they truly enjoyed every moment! Their Neighborhood Church Wedding was one for the books! I hope you enjoy the photos below from David Torralva Photography! My first wedding of the year was off to an amazing start at Coyote Hills Golf Course with Janet and Steve! Their fun and quirky personalities really shined on their wedding day and there color mint green color scheme was so beautiful. It complemented Coyote Hills Golf Course very well and the beautiful water feature was so relaxing and created a serene atmosphere. The ceremony location at Coyote Hills Golf Course is one of my favorites in Orange County! Rachel and Calvin’s wedding at The Speakeasy on State was simply amazing!! 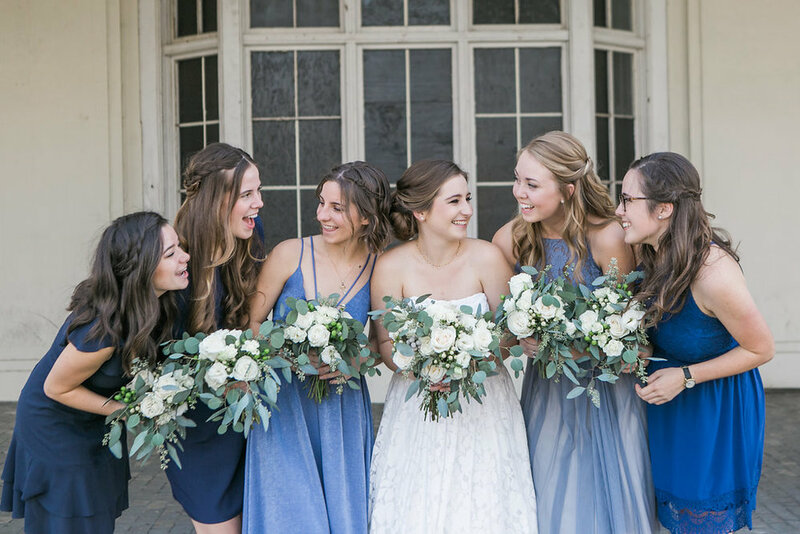 They both have the sweetest souls and their bridal party was a dream! They were beyond helpful and just available and ready for anything. They really made it special for Calvin and Rachel! The day started with a first look at the Historic Train Station in Redlands. Also, Sarah with Sarah Robertson Photography along with her second shooter, Corey Morgan did an impeccable job!! Can you guys believe it? We were super early on the timeline and the couple was able to enjoy cocktail hour with her loved ones!! Okay, so can we talk about her shoes?! They were blue suede with a double ankle strap with a low heel! They were perfect!! Every detail of her wedding came out beautiful! Also, Dawn from Speakeasy on State is such a joy to work with. When you have a gorgeous venue with owners who truly care about the client experience as much as I do, it’s like finding gold! You can have the most beautiful venue, but if the staff is not friendly or wanted to go above and beyond, it really puts a damper on an entire day. This is one of the reasons why I LOVE Speakeasy on State Weddings because the owners are like family to me now and I love them dearly! This is another venue that you must put on your list to go see! Schedule a tour. I know you are going to fall in love with it as much as I did!!! Okay, so here are a few of my favorite photos of the day by Sarah Robertson Photography! Today, I want to spotlight Keren from Blushing Water Studio. She is a lettering artist based in Southern California and her work is AMAZING!! She creates bespoke calligraphy for wedding signage, special events, envelope addressing, home decor as well as commissioned pieces. I met Keren at our local Tuesday’s Together networking meet up and I was drawn to her. When you meet someone like Keren, she makes you feel like you’ve known each other forever. Her grace and elegance exude through all of her work. How Honeybook Scaled my Company!!! Hey friends! Today I want to share with you how I was able to book more clients and spend more time with the ones I love! Before using this tool, I was writing the same emails over, spending too much time on admin duties, and was not confident in my workflows. I was stressed out about hitting my financial goals and creating endless spreadsheets to stay organized. The whole reason why I started my own company was to be at home more with my family and that was not happening. I knew I needed to make a change in my company and that is when I started to research different Client Relationship Management Systems (CRM’s). I know there a ton of CRM’s floating around the internet, but the one that has been a complete game changer is Honeybook!!! Honeybook saved my life! There are so many tools that I use within Honeybook and it makes my life so much easier. I can go to sleep at night knowing that my business is complete with the vast applications and integrations that Honeybook offers. Today, I want to share my top 3 tools that Honeybook offers!! Let’s jump in! G A M E C H A N G E R!!!!! Okay, so within Honeybook, you can create a custom contact form and it will sync (using code) to your website! Any changes you make on the contact form in Honeybook will be automatically updated on your website! Once, someone inquires via your contact page, it automatically adds the prospective client to your pipeline in Honeybook (The area where all of your inquires + clients are stored). There’s also a section where you can input where the lead came from so you can track them!!! How cool is that!! Below is a screenshot of how I use the contact form!! This is the second game changer for me! So you can have as many workflows as you’d like. My favorite way to use the workflow section is to create a default email to be sent to each client after they inquire via my contact page on my website. The sooner you respond to a lead, the more likely they are to book, which makes this workflow the most important to me!! Now, I know what you’re going to say...each email should be personalized with a name...and guess what my template is set up to add each potential client’s name on the email!!!!! Whhaaaat!? I know, crazy cool! I was literally doing the exact same thing manually until I discovered there was a more efficient way. I also have set up workflows for my onboarding which is a 5 series email that is sent out each day for 5 days and a post client email series and so many more!!! Love love love the workflows tool!!! Below is a screenshot of how I use workflows in Honeybook! This feature is also huge for my company! No more paper contracts and scan and email or lost checks in the mail!!! Everything is online and secured!!! My clients feel comfortable using the site, which makes it so much better! Once I am ready to send out a contract, I can have it ready in 10 minutes!! Also, it gives my clients an option to set up auto-pay, which is HUGE and about 50% of my clients utilize that feature!!! I love it because they trust the system and it allows me to get paid without having to bother them. Even if my client’s did not utilize the auto-pay feature, Honeybook send gentle reminders to my clients when a payment is due. It’s like having your very own personal assistant!!! Love it!!! Omg, there’s so much to share about Honeybook, but I hope this gives you a little insight about the CRM!! Also...I wanted to share a special offer with you!!! BONUS: Use this link to receive 50% off your first year with Honeybook!!! Stay tuned for more about why I love honeybook!! Psst..If you just scrolled to the bottom, no worries! I shared 3 of my favorite tools in Honeybook which are the contact form, workflows, and online contracts and payments!! Also, use this code to receive 50% off your first year with HB! Note: We are not sponsored to write this post. However we are a part of Honeybook’s affiliate and education program and do receive a small commission when you sign up for the service. All of the views expressed in this article are solely ours and reflect how we truly feel about this product. Hey loves! By now, you have enjoyed the engagement season and figured out your style/vibe of your wedding and you are ready to tackle the budget. Okay, take a deep breath with me.... Inhale....and Exhale...we're going to get through this together. By the end of this post you will feel much better, I promise! :) Many people go about wedding budgets differently, but the tips I'm giving you today will set you up for success. Oh HEY friends!!! Congrats again to all of the lovely couples who got engaged over the Holidays. I'm celebrating over here with you in spirit :) Okay, so now that you have taken my advice from the first series (If you didn't read it, no worries, you can find it here) , it's time to create your wedding vision. Some people call it your theme ( I really try not to use that word because it limits your creativity to one category) or vibe (love this word!). Your vision is the overall feel of your wedding, which is the foundation of your wedding. All of the other decisions made will be based on your wedding vision, which is why it is so important to start here. C O N G R A T U L A T I O N S ! ! ! ! What an exciting time in your life! By now, your friends and family are asking you about the date, color palettes and discussing venue options with you. You go to work the next day and the questions continue. Allow me to be the first to tell you that you are your fiancé will be the center of attention until you get married. With all of the excitement, gifts, and love from your friends and family, it is easy to lose sight of the meaning of marriage. Hey, friends!! 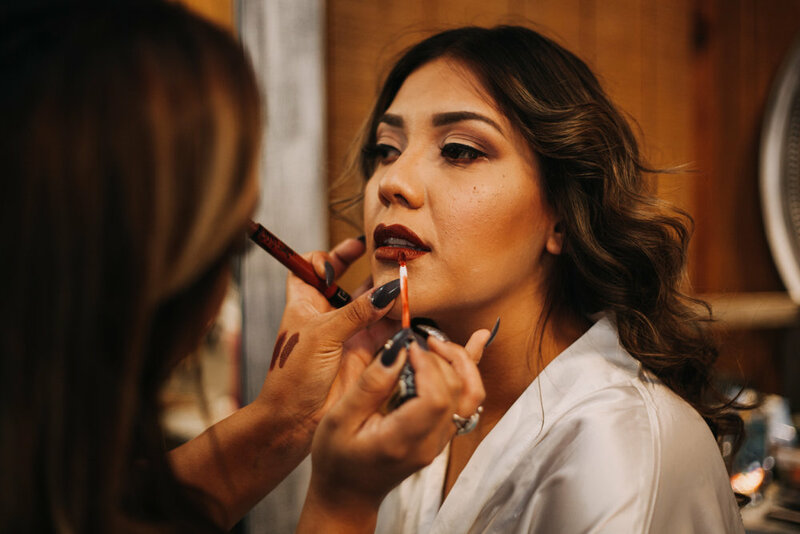 So today I want to share with you a beautiful wedding I had the privilege to coordinate at the Speakeasy on State in Redlands! By the way, if you have not been to this venue in Redlands, you HAVE to check it out! (Pst...tell them I sent you!) It’s gorgeous inside and out and the owners, Dawn and Ariell are so delightful. Their level of service and professionalism is off the charts! So many of us have friends that are just starting out in the wedding industry and it's so easy to assume they will work your wedding for free. Guess what? They are your friends first and secondly, they are guests at your wedding. If I had to describe Heather’s and Wolfie’s wedding day in 1 word, it would be fun! They had the time of their lives to say the least. To start, Heather surprised everyone by singing during the ceremony and she also cut her hair in between the ceremony and the reception! In this article, I am spilling the beans about wedding planners. I am unveiling the secrets know to weddin planners to give you an inside scoop! Grab your kettle corn popcorn and keep reading! Wedding Planning 101 - What Does a Wedding Planner Do? 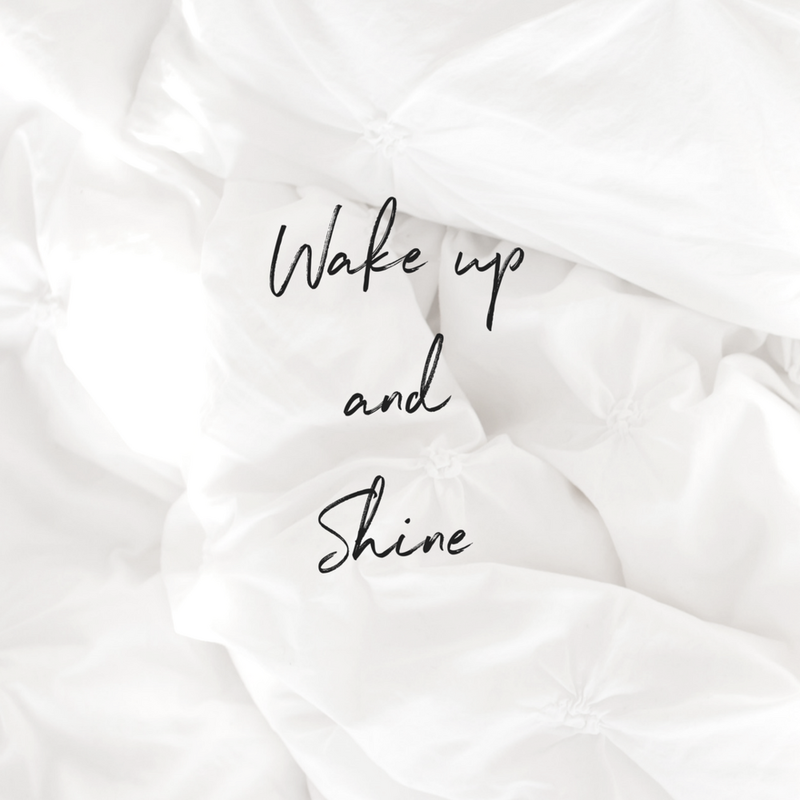 Today I want to share with you all of the things I do as a wedding planner. I get asked this question all of the time and I am so excited to share with you all that goes into wedding planning. Okay, so it takes a couple hundred hours to plan a wedding from start to finish. With each wedding being unique, the hours can vary drastically. The average time to plan a wedding is one year, but we are starting to see a trend where people are getting married in 6 months or less. No matter how long your engagement is, the time investment will be the same. Being mindful is simply living in the present moment and experiencing life using all of your senses. 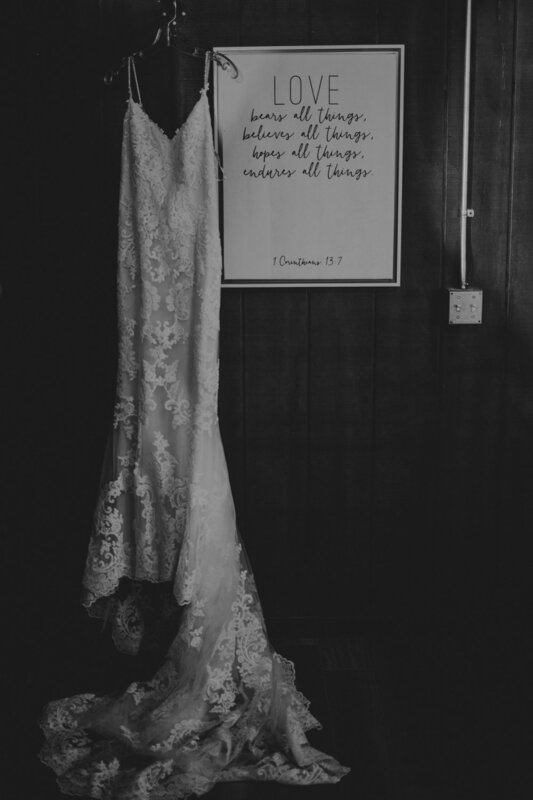 Today on the blog, we discuss 3 bite sized tips on how to be a mindful bride. 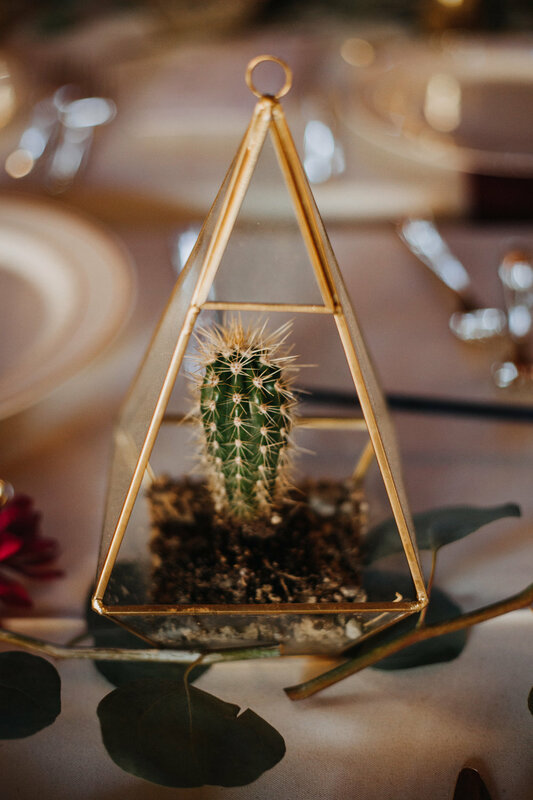 Grab your green tea boba and start reading on how to become a mindful bride. Mindfulness is a term that you may not here often but it is so important for the mind, body and soul. Today we are going to deep dive into the term mindfulness, look at what it means, discuss the benefits, and share ways that I incorporate mindfulness into my daily life. This month marks year one for Forever Taeken Weddings + Events and I am more than excited to share with you things I've learned along the way, things that I overcame, and where my business is going in the future. I met so many inspiring people & learned a lot about myself as well. What a beautiful season we have this spring! With all of the super blooms everywhere and the sun shining ever so bright, let's get out of the house and enjoy the beauty. It's pretty amazing when I am driving to church, I can see the California poppies and I just want to pull over and enjoy them :) With all of the rain we had, it's so fun to reap the benefits with beautiful blooms!